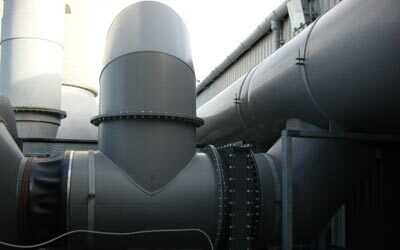 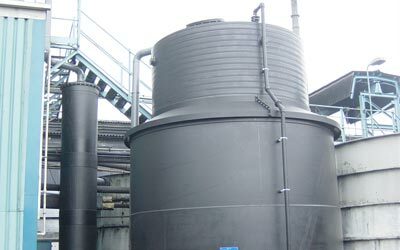 CPS design and manufacture wet scrubbing systems for abatement of corrosive fumes and odours. 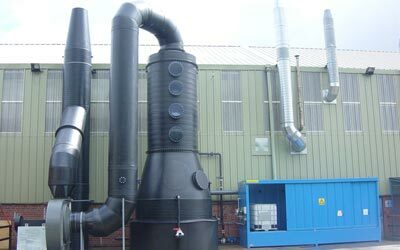 Our in-house design team will take your fume abatement project from initial design through to installation and commissioning. 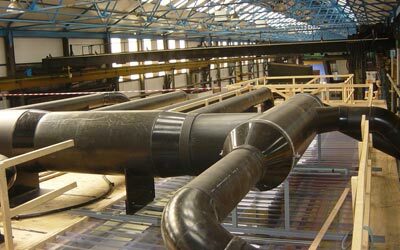 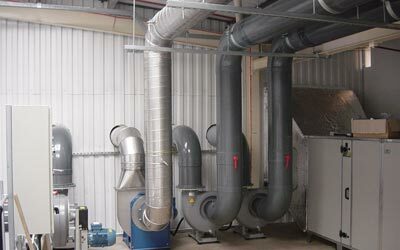 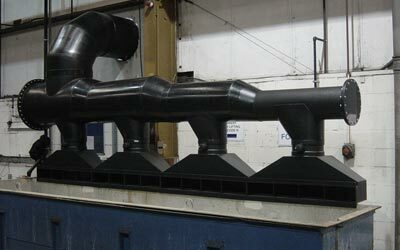 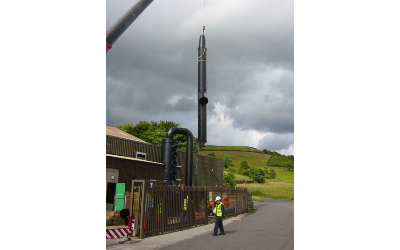 Fume Scrubbers and Extraction ductwork can be fabricated and installed in a number of materials including Polypropylene, PVC, PVDF and Fire Retardant Electrically Conductive Polypropylene. 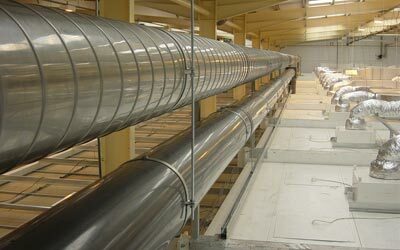 Thermoplastic gas to liquid heat exchangers can be installed in the inlet ductwork to act as a condenser for the fume or as part of a heat recovery system for the building.